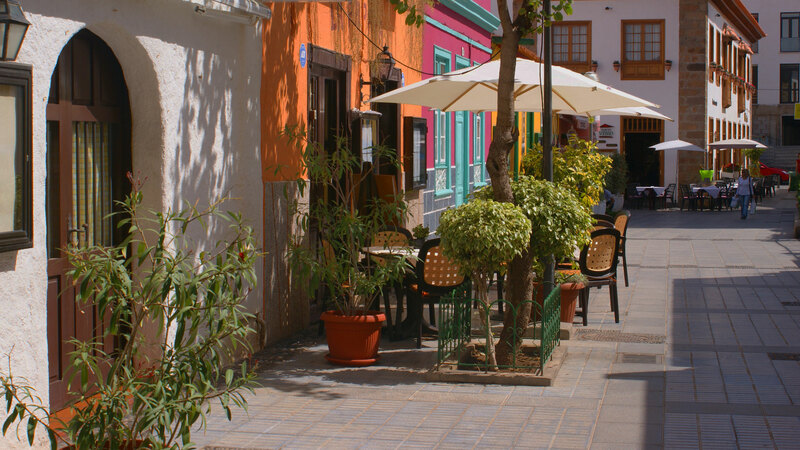 Hotel Puerto Azul is located at the heart of the old fishermen’s quarter of Puerto de la Cruz, on a charming and quiet pedestrian street. Enjoy the beautiful views of La Orotava valley and Spain’s highest mountain – the volcanic Mount Teide. Amazing views overlooking the majestic mount Teide. Sunny side on the pedestrian street of Calle Lomo. Peaceful atmosphere after a busy day. Affordable vacationing in a central location.